Banswara is a city in Banswara District in south Rajasthan in India. The state of Banswara was founded by Maharawal Jagmal Singh. It is named for the "bans" or bamboo forests in the area. It is also known as 'City of Hundred Islands', due to presence of numerous islands on the Mahi River named "Chachakota" where the islands located, which flows through Banswara. Banswara city is governed by City Council (Nagar Parishad) which comes under Banswara Urban Agglomeration. The city has population of 100,128, its urban / metropolitan population is 101,177 of which 51,941 are males and 49,236 are females. Banswara is located at 23.55°N 74.45°E﻿ / 23.55; 74.45. It has an average elevation of 302 metres (990 ft). Banswara District is in southern Rajasthan with an area of 5,037 square kilometres (1,945 sq mi) located between 23.11° N to 23.56° N latitudes and 73.58° E to 74.49° E. longitudes. It is bounded on the north-east by Dhariawad, Pipalkoot & Arnod tehsils of Pratapgarh district of Rajasthan; on the east by Ratlam district of Madhya Pradesh; on the west by Sagwara and on north-west by Aspur tehsils of Dungarpur district of Rajasthan; on the south-east by Jhabua district of Madhya Pradesh and on south & south-west the Dohad district of Gujarat. The region represents a rugged terrain undulated by short ridges west of Banswara. The eastern part of it is occupied by flat-topped hills of the Deccan trap. It has the southern end of the Aravali mountains. The drainage system belongs to the Mahi river which originates from Amjera hills near Dhar in Madhya Preadesh. Its main tributaries are Anas, Chanp, Erav, Hiran and Kagdi. The Mahi Bajaj Sagar Dam has been constructed on the Mahi, about 16 kilometres (9.9 mi) away from Banswara town. The Right and Left Main Canals and their distributaries irrigate 60,149 hectares (601.49 km2) of land. Normal annual rainfall is about 82.59 centimetres (32.52 in). The main crops are maize, wheat, rice, cotton soya bean and gram. Graphite, soapstone, dolomite, rock phosphate, limestone and a variety of marbles are mined in the region, with some deposits of gold found around Jagpura. About 20% of the area is designated as forested land, but most of the forest land is devoid of trees in the non-monsoon months. Banswara (literally "the bamboo country") was a Rajput feudatory state in Rajputana during British India. It borders Gujarat and is bounded on the north by the native states of Dungarpur and Udaipur or Mewar; on the northeast and east by Partapgarh; on the south by the dominions of Holkar and the state of Jabua; and on the west by the state of Rewa Kantha. Banswara state was about 45 miles (72 km) in length from north to south and 33 miles (53 km) in breadth from east to west and had an area of 1,606 square miles (4,160 km2). The population in 1941 was 258,760. Banswara district forms eastern part of the region known as Vagad or Vagwar. The district was formerly a state ruled by the Maharavals. It is said that a Bhil ruler Bansia or Wasna, ruled over it and Banswara was named after his name. Bansia was defeated and killed by Jagmal Singh who became the first Maharaval of the princely state. It is named so because of the bamboo (Hindi: बांस) which were found in abundance in the forests. Banswara massacre is also known as Rajathan’s ‘Jallianwala Bagh’, a little known event of the British Raj era. On 17 November 1913, Banswara district of South Rajasthan was witness to a little-known massacre of around 1500 tribals by the British, echoing the Jallianwala Bagh massacre in which 329 people were killed in firing. British forces opened fire on tribals who had gathered on the Mangarh hillock situated in the Aravali mountains on the Rajasthan-Gujarat border. The tribals were led by their leader Govind Guru who inspired them to throw off the yoke of British rule. Govind Guru, influenced by social reformers like Dayanand Saraswati, launched the ‘Bhagat movement among the Bhils asking them to adhere to vegetarianism, and abstain from all types of intoxicants. The movement slowly took on a political hue and turned into a movement against the oppressive policies of the British. The Bhils began opposing taxes imposed by the British and forced labour imposed by the princely states of Banswara, Santrampur, Dungarpur and Kushalgarh. Worried by the tribal revolt, the Britishers and princely states decided to crush the uprising. From October 1913, Govind guru asked his followers to gather at Mangarh hill from where they would conduct their operations. The British asked them to vacate Mangarh hill by 15 November, but they refused. On 17 November, the tribals were gathering for a meeting when the British forces under Maj S Bailey and Capt E Stiley opened fire from cannons and guns on the crowd. Though there are no official estimates, locals say about 2500 people were killed in cold blood. Govind guru was captured and exiled from the area. He was imprisoned in Hyderabad jail and released in 1919 on grounds of good behavior. But as he was exiled from his homeland, he settled in Limdi in Gujarat where he died in 1931. The site of the massacre is today known as Mangarh Dham and the locals are demanding that a national memorial be built there in memory of the martyrs. Andeshwar Parshwanathji is situated on a hillock in Kushalgarh tehsil of Banswara district. This is a famous Jain temple housing rare Shilalekhs of the 10th century. We can find two Digamabara Jain Parshwanatha temples at this place. The main temple was built by Digamabar Jain Panchayat of Kushalgarh. The main idol of Bhagawan Parshwanatha is being protected by seven hoods. Anekant Bahubali Temple is situated in Banswara-Udaipur Road in Lohariya Tehsil Ghari of Banswara District. This Jain temple is Famous for the 27 foot Standing Statue of Lord Bahubali which is made of White Sangmarar (marble). This Jain temple was made by the Inspiration of Digamber Acharya Shri 108 Bharaj Sager maharaj here we can find many other temples of Jain Lords Like Panch Parmeshti Jinalay (tample), Manvadi Sapt charan Rishi's Tample, Adinatha Jinalaya etc. Has situated in The Campus of temple. Abdullah Pir is a Dargah of Sayedi Abdul Rasul Saheed, a Muslim saint and mostly visited by the Bohra Muslim. It's an important holy place for the Bohras. Abdullah Pir is located in the southern part of the city. On 10th Rabi' al-awwal, every year "Urs" is held at the Dargah and its popular with the masses. The people of the Bohara community take part in it in large numbers. This is a Muslim shrine of Dawoodi Bohras saint and is mostly visited by Dawoodi Bohra Muslims who visit this place during URS. 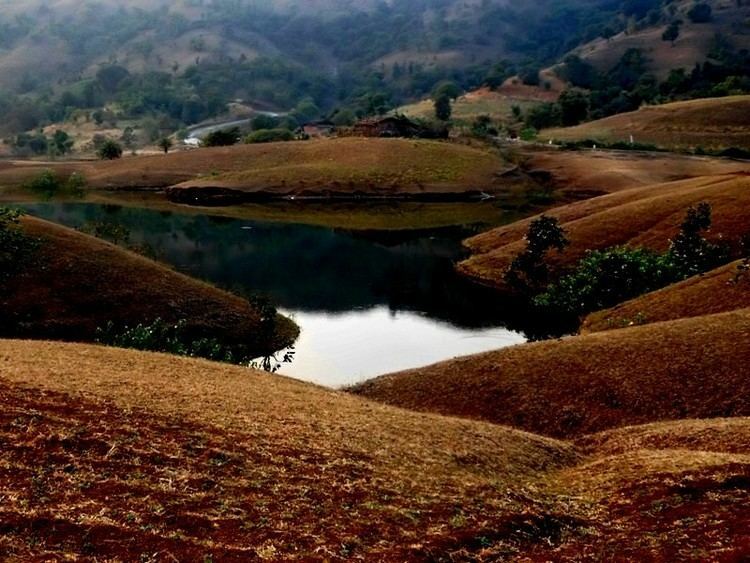 This artificial lake has been constructed by Lanchi Bai, the Rani of Maharval Jagami. It is also known as Bai Talab. Anand Sagar Lake is located on the eastern part of Banswara. It is enclosed by the holy trees named 'Kalpa Vriksha', famous for fulfilling the desire of the visitors. Nearby lies the chattris or cenotaphs of the rulers of the state. Arthuna as well as its surrounding areas have clusters of ruined Hindu and Jain temples belonging to the 11th, 12th and the 15th centuries. Among the dilapidated ruins is a beautifully carved conjugated statue of Shiva, Parvati and Ganesh. Lankiya village around Arthuna has Shaivite temples called Nilkanth Mahadev Temples. The temple is an old stone temple having beautiful intricate carvings and sculpted figures of women embedded in the outer walls. The bull Nandi (Lord Shiva's faithful vehicle) stands guard at the entrance in the temple porch. This is a scenic spot. It is believed that during their exile, the Pandavas stayed here. There is a tunnel, which is believed to be going up to Ghotiya Amab, a far off place. It is said that the Pandavas used this tunnel as their passage during the rainy season. Dailab lake A part of this lake is covered with beautiful lotus flowers. On the banks of the lake is Badal Mahal, the summer residence of the former rulers. Peoples used to enjoying this place in the summer by going boating. Kagadi Pick Up weir This is the main tourist attraction situated 3 km away from the main city on the Ratlam Road. It's a place worth seeing, especially for its enchanting fountains, gardens and water, spread over a wide area, which overlooks the Kagdi Lake and is a part of the Mahi Bajaj Sagar project. Banswara has a number of ancient Hindu and Jain temples, and In the past was known as Lodi Kashi or the city of temples. This famous temple of Lord Shiva is situated inside the natural cave of a high hill on the eastern part of the city. It presents a sensational natural view. The cave temple provides an Amarnath Yatra like feeling to the pilgrims, due to its typical location. Mahi Dam is one of the major attractions of Banswara.It is situated 16 kilometres from Banswara town in Banswara district Rajasthan, India. The dam was constructed between 1972 and 1983 under the Mahi Bajaj Sagar Project, for the purposes of hydroelectric power generation and water supply.various dams and canals have been constructed over an enticingly enchanting scenic surrounding. Near the dam, you could locate the enticing garden with fountain. 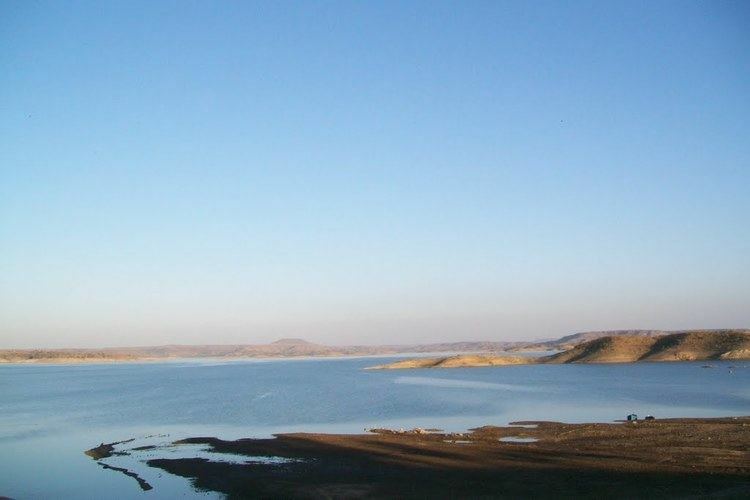 It is the second largest dam in Rajasthan. This is an important fair of the tribals and is held on Margshirsha Purnima. At this fair the tribals of Rajasthan, Madhya Pradesh & Gujarat participate and they pay tribute to Guru Govindgiri, founder of the Samp sabha. It is a place surrounded by hills. People call it "Phati Khan" because it is a deep cave under a hill. There is a pool of very cold water which is found throughout the year. It is said that Lord Ram, during his exile came and stayed here for some time. Talwara is another place to visit near Banswara. Its historical significance due to its primeval temples and the devastated of some old monuments.Talwara is the temples of Sun, Lord Amaliya Ganesh, Laxmi Narayan Temple, and Jain Temple of Sambhavnath make Talwara a religiously important site. The idols in these temples are carved in local black stone and are beautiful to look at. Tripura Sundari is the temple, devoted to Goddess Tripura Sundari or Turita Mata. This temple has a gorgeous idol of black stone having 18 hands and more important each hand carrying a different emblem. The Goddess is seen riding a tiger. It is believed that its one of the Shakti Peeths of Hindus having divine powers. It is believed that this temple was built before Samrat Kanishka, who rule here. The exact date of its construction is not yet known. It is said to be one of the "Shakti Peeths" of the Hindus having charismatic divine power. But it is believed that the temple was constructed approximately before the reign of the Kushana emperor Kanishka who ruled here in the first century AD. The Banswara district lies in the southernmost part of Rajasthan. It is surrounded by Pratapgarh in the north, Dungarpur in the west, Ratlam and Jhabua districts of Madhya Pradesh in the east and south and Dahod district, Gujarat to the south. The closest major city to Banswara is Udaipur which is 165 km away. Indore and Ahmedabad are also close, at 215 km and 245 km away respectively. The town is 827 km from New Delhi and 710 km from Mumbai. Since 2012 Government engineering College has been started and in State Budget of 2013–14 declared for Starting of one Medical college in Banswara . For opening of one nuclear power plant, & Two Super critical thermal power plant & Railway line (Ratlam -Dungarpur via Banswara) various Proceeding of State Govt is going on. 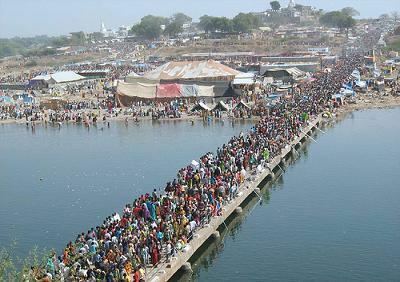 As of 2001 India census, Banswara city had a population of 101,177. Males constitute 51% of the population and females 49%. Banswara city has an average literacy rate of 86.98%, higher than the national average of 59.5%, with 92.76% of the males and 81.01% of females literate. Situated amidst the Aravali valley, Banswara represents tribal culture in Rajasthan. With a landscape predominated by bamboo trees (Hindi: बाँस) the region came to be known as Banswara. Banswara town was founded by King Jagmal Singh. The town has eleven and a half Swayambhoo Shivalingas; it was also called 'Lodhikashi' or little Kashi. Yet another name is 'An Area of Hundred Islands'. Situated in southern Rajasthan, the town borders Gujarat and Madhya Pradesh. Due to this inter-regional neighborhood, the Vagdi culture has emerged as a mixture of Gujarati, Malwi, Rajasthani and Mewari cultures. Banswara district is rich in forests, hills and wildlife. Tribals are the natives of this region. The place is known for its ancient temples and natural beauty. The district has a climate which is milder than that in the desert regions in further north and north-west. Maximum temperature is 45 degrees Celsius to 46 degrees Celsius. Banswara Municipal Board has been upgraded to Municipal council (Nagar Parishad). In 2014 the MLA of this region is Dhansingh Rawat. The total transformer capacity in the district is 63.1 MV·A. Of the 1,431 villages 1,219 villages were electrified up to 31 March 2000. The Mahi river flows on the borders of Peepalkhoot and Ghatol and Banswara Panchayat Samitis. The Mahi project has the capacity to irrigate an area of 800 square kilometres. Road transport is the only mode of goods and passengers movement from and to the district. The district headquarters has direct road connection with Ratlam, Dungarpur, Dahod and Jaipur. Total road length in the district is 1,747 km, as of 31 March 2000. The Railway Ministry has approved railway line to be established to connect the Dungarpur and Ratlam station. The total distance between Ratlam to Dungarpur is around 187.6 km (116.56 mi), Banswara is situated in the centre of these two stations. Recently railway line work in progress and final location for rail track marked by agency. The nearest airport is at Udaipur 165 kilometres (103 mi), where there is a helipad and runways for charter planes to Talwada village airstrip around 13 kilometres (8.1 mi) from Banswara city. There is no airport at Banswara itself, but nearby at Udaipur 160 kilometres (99 mi), Indore (Madhya Pradesh) 212 kilometres (132 mi) & Ahmedabad (Guj) 285 kilometres (177 mi) are major airports close to Banswara. Schools and higher educational institutions in Banswara are administered either by the Directorate of Education, the government, or private organizations. In 2008–09, there were 1,995 primary and middle schools, 283 secondary and senior secondary schools in the city. The higher education institutions in the city included Two Govt P.G.Colleges and & Eight Private colleges .For Technical education one Govt. POLYTECHNIC & one Govt. ENGINEERING COLLEGE & Two ITIs. Private schools in the city—which employ either English or Hindi as the language of instruction—are affiliated to one of two administering bodies: the Rajasthan Board of Secondary Education and the Central Board for Secondary Education. some school for example:- St. Paul senior secondary school, Ankur senior secondary school, etc. The focus on political reportage, including regular television broadcasts of Indian parliament sessions. Many country-wide media agencies, among them the state-owned Press Trust of India and Doordarshan, are based in the city. Television programming in the city includes two free terrestrial television channels offered by Doordarshan, and several Hindi, English and regional-languages cable channels offered by multi-system operators. Satellite television, in contrast, is yet to gain large-scale subscribership in the city. Print journalism remains a popular news medium. During the year 2005–06, newspapers—in Hindi languages—were published from the city. Of these, Hindi language newspapers, and included Dainik Bhaskar, Rajasthan Patrika. Other major English newspapers include Indian Express, Business Standard, Times of India, The Hindu.